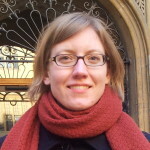 Päivi Neuvonen is Academy of Finland Postdoctoral Researcher in the Faculty of Law at the University of Helsinki. Previously, she has worked as a law lecturer at the University of Turku and as a postdoctoral research fellow at the Policy Research Centre on Equality Policies and the Institute for Constitutional Law at KU Leuven. In 2016, she was a visiting research fellow at the Centre for European Law and Internationalisation (CELI) at the University of Leicester. She completed a doctorate in EU law at the University of Oxford in 2014 and her first monograph Equal Citizenship and Its Limits in EU Law: We the Burden? was published by Hart Publishing in 2016. Her research interests include EU constitutional law, anti-discrimination and equality law, European human rights law, and philosophy of transnational law. You can find more information about her research at this website here and here.